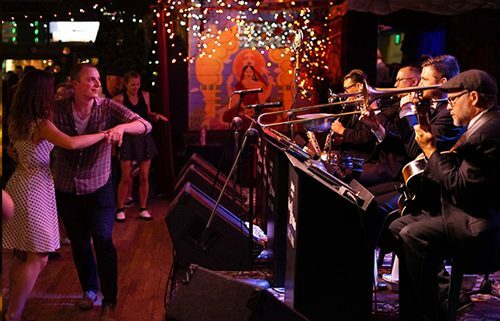 Joe Smith and the Spicy Pickles Jazz Band is a Denver-based vintage jazz band dedicated to revitalizing swing music and dance. This small group style swing band packs a punch of power, personality, and wit into each show, intriguing generations new and old with the beloved charm of big band swing from the late 30’s and early 40’s. The Pickles bring it all – high energy, quality musicianship, and an authentic big band sound and look that celebrate the unique American spirit of swing.